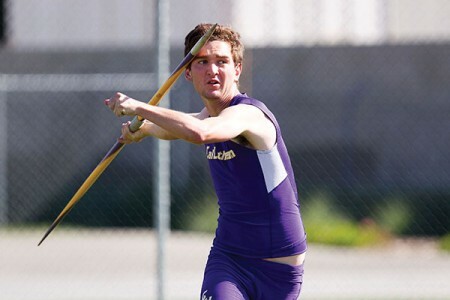 Two-time defending U.S. Paralympic javelin champ Cody Jones, a junior from Simi Valley, grew up playing baseball. Just two years ago, he hadn’t touched a javelin. A lot has changed in a short time. This October, Jones traveled to Qatar to join Team USA at the Track & Field Paralympic World Championships. He took fifth place in his classification, F38, throwing a few meters short of a medal at his first international meet. advanced at an accelerated rate; he now holds the North and South American records for javelin in his classification. His next goal is to make the 2016 Paralympic Games in Rio de Janeiro, Brazil.